In the distant future, settlement on Mars may become a reality. The first people to choose Mars as their final destination will need powerful, easy-to-use housing. 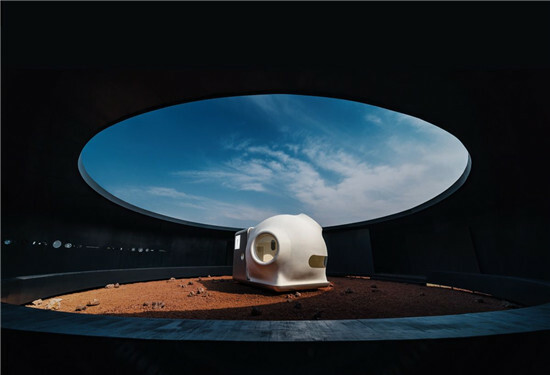 Recently, a design firm called Open Architecture and Xiaomi have jointly released their imaginative Martian habitat art concept map - a Mars living cabin with practical functions and minimal aesthetics. 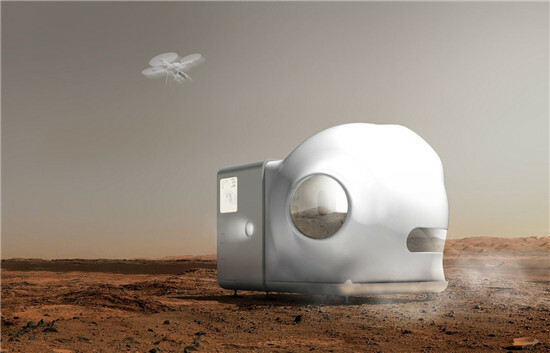 This Mars living cabin looks like a combination of a steampunk-style camper and an external constellation. The interior is designed with a minimalist design that is easily accepted by humans. The project, named Mars Living Cabin, is a Mars House created by Xiaomi and Open Architecture Architects to work with young people. Two hundred years ago, Thoreau lived alone on the shores of Walden to reflect on the true meaning of life. Today, when we are faced with an environment of environmental crisis and endless desire for consumption, House Vision provides a valuable opportunity for OPEN Architects and Xiaomi to jointly launch a exploration experiment on future life to explore architecture and product integration. The possibility of exploring how design can influence and guide the future of life; to explore whether the future of the home can accompany us to break away from the constraints of reality and pursue the ultimate tranquility and freedom. We put the experiment in a limitless situation - when humans immigrate to Mars and live in this distant and lonely red planet; this means that we have to put material life to a minimum - this is what modern life gives us And we are hard to give up; we must achieve a recycling cycle of resources - this is what the Earth has always provided us, and we are used to it. When we begin to examine the essence of material life from minimalism, when we begin to cherish every drop of water, every food, enjoy every fresh air, is it the true meaning of peace and freedom? Is it the essence of our future residence? And this kind of thinking in the extreme situation may be the most precious life revelation for us in the earth. When Xiaomi created a technology product and building integration; when space was released to a free lifestyle; when the network connection between products was upgraded to physical connection; the home became a circulation system containing energy, water and air. This is OPEN and Xiaomi's first home for young people: MARS Case/Mars Living Cabin, a self-circulating, zero-pollution home, a minimum transport size based on 2.4m*2.4m*2m, the lightest The flexible home of inflatable materials, a future home that allows us to pursue the ideal country with freedom. This idea sounds great and fits into a garbage-free plan that Mars travelers may try to follow in the future, but it is still in the concept stage. Buildings may not be considered for the first time when humans are sent to Mars, but if the idea of ​​Mars living cabins can be achieved, it should be shortly after humans boarded Mars. Rather than carrying a pre-built small house to Mars, it is more likely that a situation will be achieved: astronauts will use as much material as possible from Mars itself to build a dwelling, or build a 3D printed structure in flight. building.